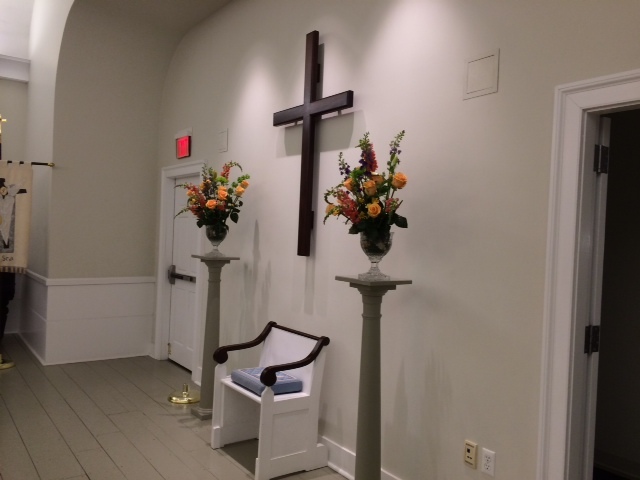 Flower Guild members are responsible for creating the flower arrangements that grace the front of the church sanctuary each Sunday. Members share responsibility for flowers on a rotating basis throughout the year. During Advent, unadorned greens are used, and for Lent, bare branches signify the austerity of the season. In the spring and summer, guild members often bring flowers or greens from their own gardens and the variety and creativity make for bright bursts of color. The Flower Guild is also responsible for dressing the church for Christmas and Easter. Funding for flowers comes from donations. The guild often receives requests for flowers in memory of loved ones and will honor these requests. 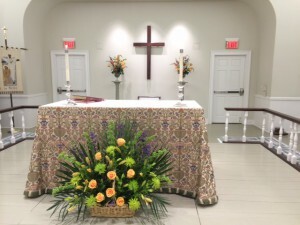 At the end of the service, flower arrangements are distributed to members of the parish family who are ill or celebrating milestone events or anniversaries.